I remember the days when I could throw a book in my purse and that was the extent of my carry-on essentials. Maybe I would throw in some snacks or a scarf in the event the flight was cold but mostly I traveled light. Then I had kids and suddenly I was on the verge of exceeding the limit of carry-on bags per passenger. Luckily most airlines allow a diaper bag at no additional charge. Having flown with my kids a lot I know what to pack in my carry-on bag to keep them full, happy and occupied. Baby wipes, regardless of if you have a kid in diapers these are great for cleaning tray tables, arm rests and little hands. Scarf I usually wear one on the plane but on my last flight I packed a blanket scarf which kept me warm, doubled as a nursing cover and kept Jack warm on a chilly flight. Receiving blanket these ones are the perfect size for covering the changing table in the airplane bathroom. Tablet in a kid friendly case , make sure you load it with your kids favorite movies. Change of clothes for kids – accidents happen and on long flights it’s sometimes nice to get changed when you land especially if the temperature change is dramatic. Change of clothes for you and your spouse. I used to only pack a change of clothes for me and the kids but then Jack threw up on the Disney Magical Express on the way to the airport and we had to rummage through the suitcase to find John clothes. A wet-dry bag for any soiled clothes. Snacks that aren’t too messy, squeeze pouches work great, so do granola bars. Take it from someone who once picked up all the goldfish and puffs a toddler threw on the floor on a 4 hour flight, you don’t want to know what’s under the seats. Bottle or sippy cup. 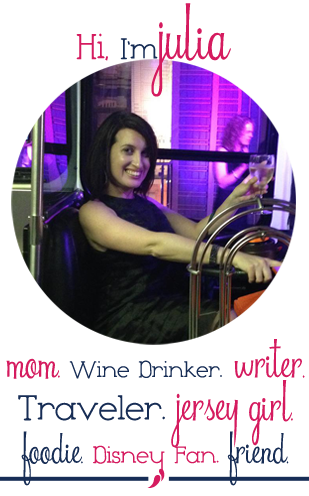 Make sure to have kids drink on take off and landing to help relieve pressure in ears. Tylenol or Motrin to help with ears that might hurt from pressure changes. Gum or lollipops for help with ears. Airplane Travel Harness . This harness helps keep your child strapped into their airplane seat, it is compact and easy to install. If you aren’t bringing a car seat on the plane this is a must. We regularly fly on an airline where many car seats won’t fit in their seats and this is a great alternative. 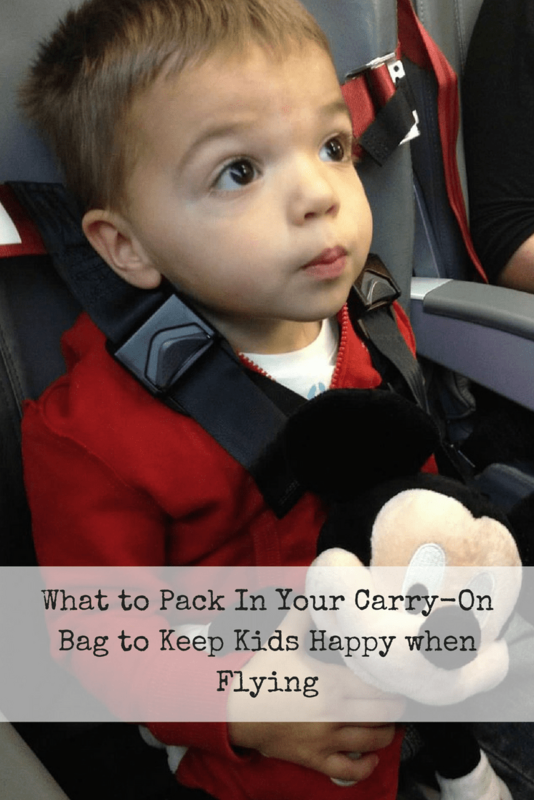 Printable list of what to pack in your carry-on bag when flying with kids. I split the flight into 1/2 hour increments and plan to have a snack and activity for every half hour. These may seem like overkill but really it’s better to have more than less. Winter travel definitely makes carry-on harder, but that s when I usually end up carrying my coat instead of packing it, and I just know I ll wear the same shirts even more often because I have room for fewer.